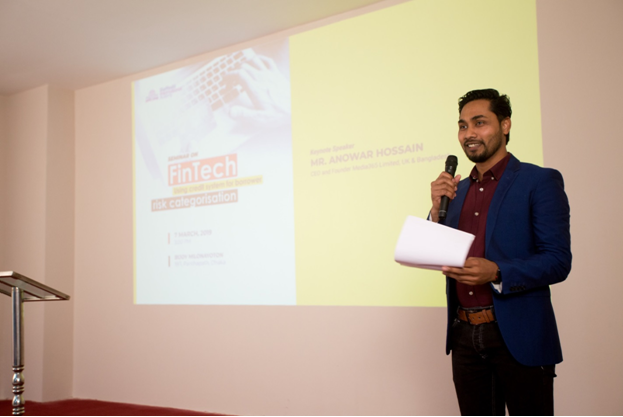 “On 07 March 2019 (Thursday), a Seminar on ‘FinTech Using Credit System For Borrower Categorization’ was held at Bijoy Milonayaton,DIA. Mr. Anowar Hossain,CEO and Founder Media 365 Limited, UK and Bangladesh was presented as keynote speaker. It is highly mentioned that he is one of the respective alumni of DIA. Along with other discussion he provides direction about using credit system and borrower risk categorization.